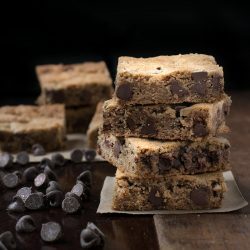 Whole wheat chocolate chip cookie bars (also known as chocolate chip pan cookies) are a great dessert and a big time saver. They are every bit as good as traditional chocolate chip cookies, but without the battle of spooning batter onto baking trays for an hour. 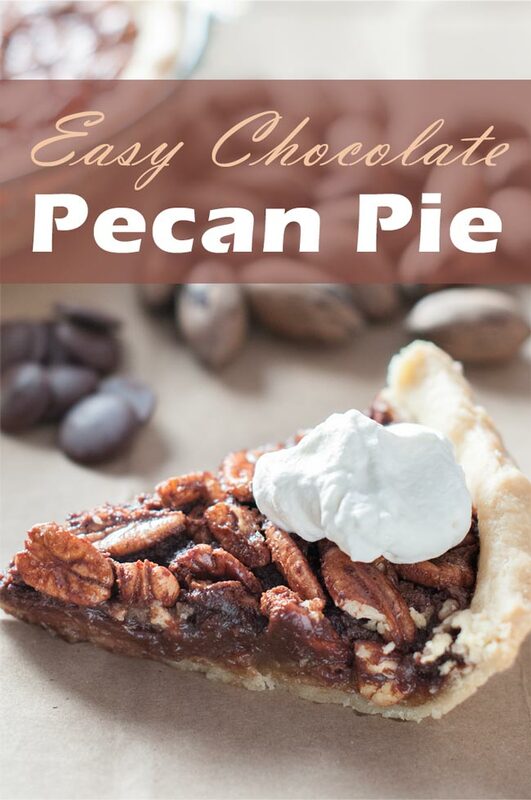 But I’m guessing if you’re already here and reading this, then I don’t have to sell you hard on the idea of trying a delicious dessert, right? And if you love these you’ll definitely love our Brookies (Brownie Cookie Bars) and our Pumpkin Chocolate Chip Cookie Bars. 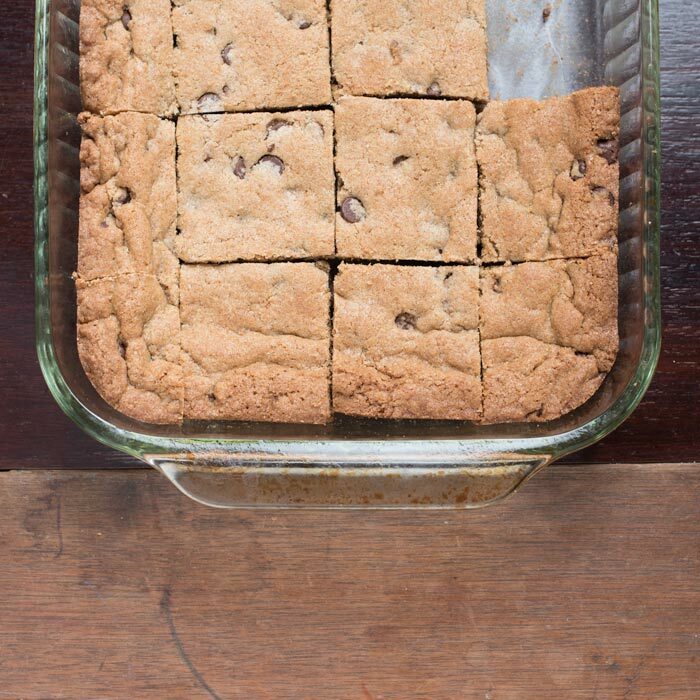 Chocolate chip cookies were always a favorite in my (Greg) house growing up, but I never had chocolate chip pan cookies until my wife made these whole wheat chocolate chip cookie bars for me when we were first dating. I may have scoffed at first (being used to traditional chocolate chip cookies), but I didn’t scoff too hard. It was dessert after all and after the first moist and gooey bite I was hooked. Now, many years, many cookies and 3 kids later, I’m even more in love with these cookies (and the wife). And having made them myself, I have a new appreciation for the ease of prep and time saved. Traditional cookies are great and cookie making is a great way to spend an afternoon with your kids, but it is time-consuming. All afternoon is often what it will take once you deal with 3 kids helping you spoon out batter onto several baking trays and the resulting clean-up that awaits you when the batter scooping is complete. 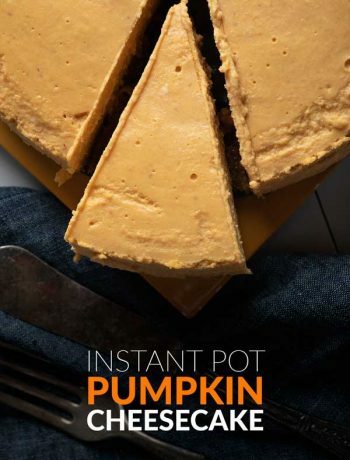 Don’t get me wrong, it’s a wonderful family bonding experience when the time is right, but what about those times when you just want dessert and you are short on time? Enter these chocolate chip pan cookies! 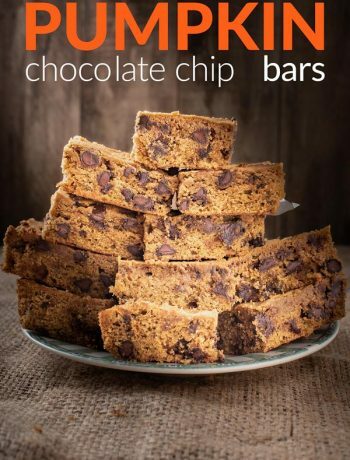 We prefer making these as whole wheat chocolate chip cookie bars because we prefer the taste when baked with whole wheat flour. And yes, maybe wheat flour holds some small health benefits over regular flour, but c’mon, sugar, butter, chocolate chips….there’s nothing healthy about these cookies. They are an indulgence. But so worth it! The prep is pretty straight forward cookie batter making, but then when you’re done all you have to do is layer the batter into the bottom of a baking pan instead of spooning out individual cookies. And this may not seem like a big deal, but trust me it is! Don’t let them over bake. Moist and gooey is the way to go. Let them cool in the pan for a little while before cutting. Reheat individual cookie bars ever so slightly the next day in the microwave (10 seconds or so) is you want that just out of the oven gooey experience. 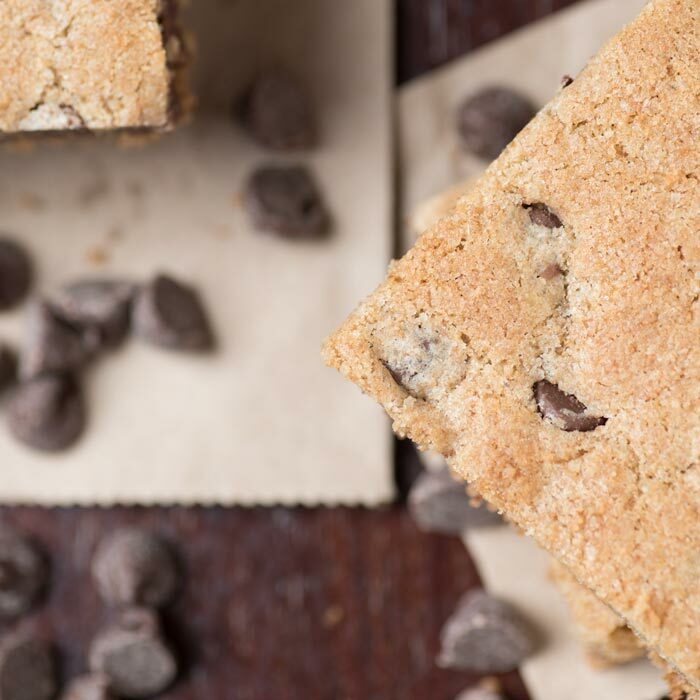 Hopefully, by now you realize chocolate chip cookie bars are the way to go! 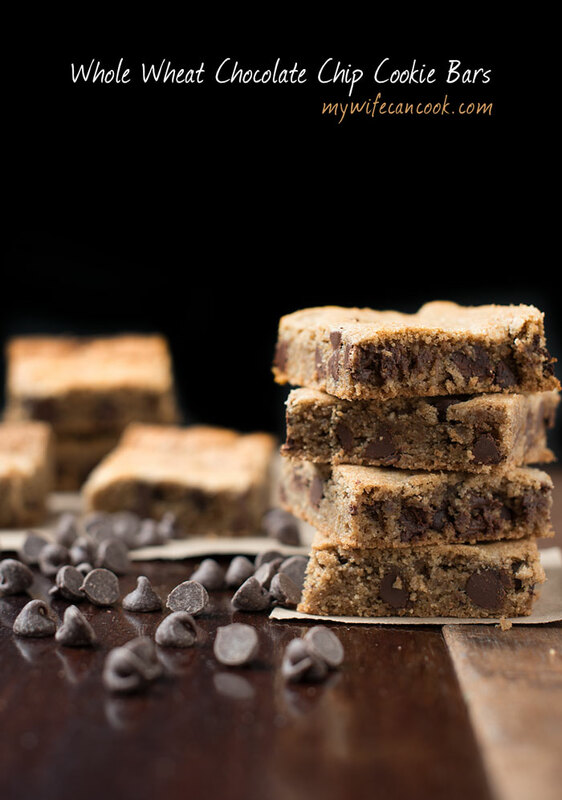 So check out the below recipe for wheat chocolate chip cookie bars. Stir in salt, soda, and half of flour. Mix in remaining flour until well combined. Spread cookie mixture in greased 13 x 9 inch pan. 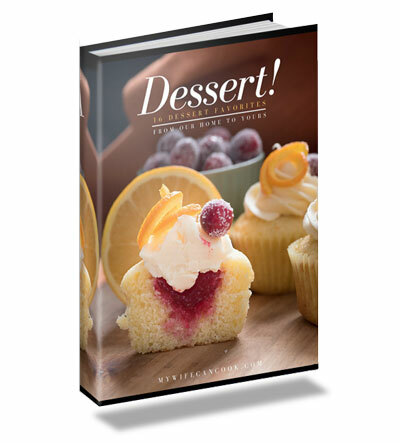 Grab a FREE copy of our latest dessert recipe book! 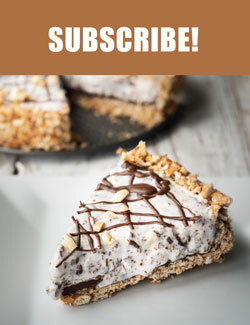 Cookie bars are such a great item to take to someone’s house when you are invited for dinner. Yeah I hear you about chilling the dough. Doesn’t happen much around here. Too anxious to get the cookies made….so we can EAT THEM!!! These sound delicious. Thanks. It is too difficult to wait for the dough to chill! I love that you made them with whole wheat. I do that some times too! Like the twist of bar vs cookie sometimes. Definitely a great item to take when going to someone house..!! 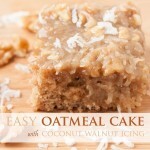 Yum..
We love these with the whole wheat flour! It works really well in the bar form! The bars are definitely gooier! And if they make it a day or two (they rarely do now that the kids are old enough to like them), you can heat them in the microwave for 10-15 seconds to remelt the chocolate chips!